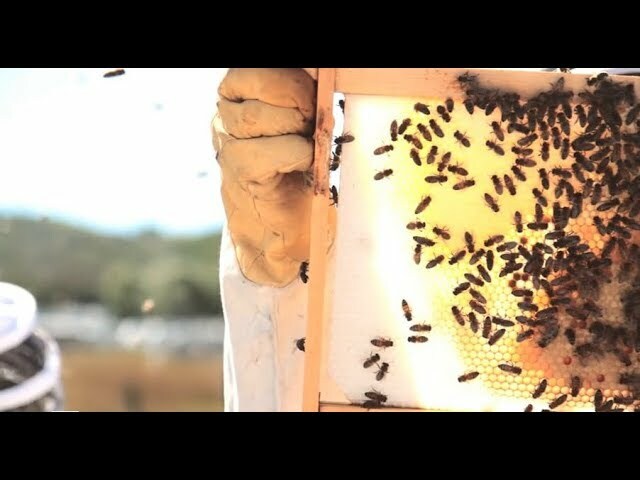 ABC Bees' Interviews, Whats Buzzing! It is often easy in cities, particularly large ones, to forget that we occupy space within a larger natural environment. We may fill these spaces with green vegetation to soften the look of an urban jungle, but often these spaces lack the tell-tale sights, sounds and smells of truly natural areas. Lawns, in particular, add colour and texture but offer scant contributions to ecosystems. When wildlife does find its way into the city, our relationship with it is often tenuous. Those that can thrive in urban areas are often viewed as pests in need of management. Close quarters can cause some awkward encounters (moose visiting Canadian tire) and misunderstandings at the best of times but, more commonly, subtle NIMBYism results — nature is wonderful to look at, but I don’t want it in my space. This is especially true for creatures that can be perceived as threats, like bees. Thankfully, increased media attention is starting to shift perceptions and calling attention to the importance of bees and other pollinators; making city-dwellers more aware and supportive of backyard visitors. Researchers, too, have begun asking questions about the pollinators that live in cities and the role that urban areas can play in supporting pollinator populations. A few years ago, the University of Bristol began a multi-year research project that asked the questions: how does pollinator diversity in urban areas compare to natural areas and farmland? what are the urban hotspots for pollinator diversity? and what can we do to increase their diversity and abundance? Along with extensive research of existing sites, they also explored pollinator meadow plantings in urban areas to determine which type of plantings were most beneficial. Dr Katherine Baldock, who was on the research team for the project, explained that their initial findings point to urban areas as important players in pollinator conservation. The study found that bee species richness was actually higher in urban areas than in farmland and that even rare bee species could be found in urban environments. The data analysis is still being complete on the hot-spots for urban areas, but Dr. Baldock indicated that initial findings seem to suggest that areas with high floral diversity, not surprisingly, have more pollinator abundance and diversity. Allotment gardens, community gardens in North America, were particularly beneficial in this sense. Though initial findings are clear that urban areas have an important role to play in pollinator conservation, Dr. Baldock says that this research is “just the tip of the iceberg” and that there is still a lot to be understood about how bees interact with urban environments. One of the many questions that Dr. Baldock hopes will be explored in future research is the importance of habitat connectivity in urban pollinator spaces. Habitat fragmentation is considered to be one of the leading causes of bee decline. Some bees can fly a few kilometers to find food, mates and nesting sites, but smaller species may only be able to travel a few hundred meters. Limited mobility means that bees in isolated habitats can face extra challenges for foraging and reproduction, and are less able to adapt to habitat shifts caused by climate change or human development. The needed for connected habitats is part of what inspired Sarah Bergmann’s pollinator pathway project in Seattle. The mile-long stretch runs along residential boulevards between a small wooded park and Seattle University. The project not only provides additional habitat for bees and other pollinators, but ask urbanites to reevaluate how they design and transform the natural areas they inhabit and to consider the maintenance of ecological health as one of the foundations of urban planning. The concept of pollinator pathways has been growing, between Bristol and Seattle there are dozens of communities and cities that are starting to incorporate pollinator friendly plantings in urban areas (Including Bee City Canada). The beauty of this approach is that the spaces already exist. Consider the kilometers of unused grassed areas beside major roads and utility corridors. Planted with native flowers, they could provide vital connections between natural areas and add colour and life to vast areas of pavement. There is even evidence to suggest that these types of plantings may create savings in landscape maintenance costs. Progress can be made on small scales too. 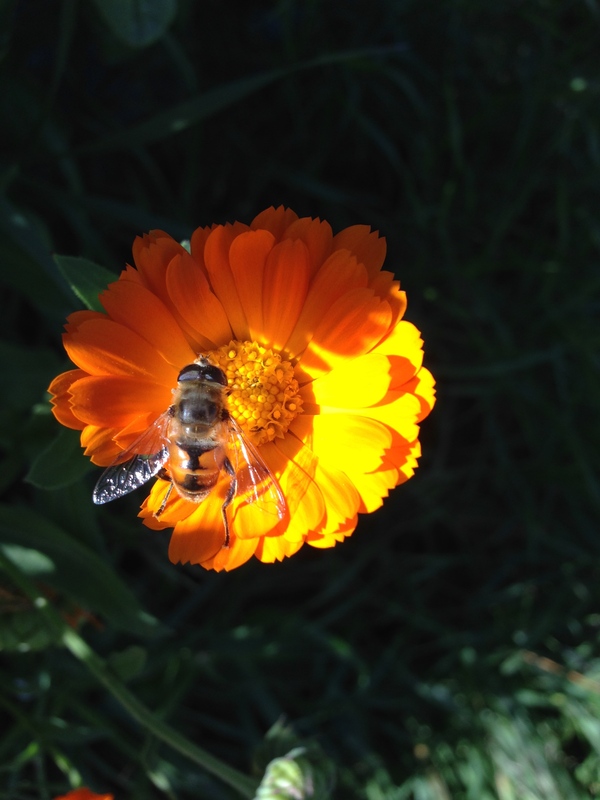 Dr. Baldock says that one of the best ways to support local pollinators is to plant a wide variety of flowers that provide blooms throughout the growing season. She also cautioned that some horticultural varieties that are bred for appearance and might not produce as much nectar or pollen, so native plant varieties are a reliable alternative place to start. So, whether it’s a balcony, front step, back yard or park, each pollinator-friendly garden adds a stitch of nature that, woven with its neighbours, begins to weave a fabric of supportive habitat through the city.